Strollers are perfect for walks with your young children along Anna Maria Island's beaches. 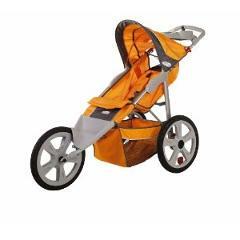 This fixed-wheel jogger stroller has a padded reclining seat to keep your little traveler safe & comfy while you exercise. Features an adjustable handlebar, retractable sun canopy, and a 50-pound capacity.